Are you struggling with debt? You aren’t alone — most people are weighed down by a sheer mountain of different debts, from credit card debt to home and auto loans to personal loans. Experian1 reports that the average U.S. household carries at least three credit cards, each with a balance of $4,427 for a total credit card debt of over $13,000. And many people only pay the minimum amount due on each of their debts every month. This can make it feel impossible to ever repay your debts — but there is an option for relief. Debt consolidation loans can provide financial relief from your debts by lowering monthly payments. A debt consolidation loan could be your answer to debt relief. If you’re considering a debt consolidation loan, here’s what you should know. A debt consolidation loan is a single loan that rolls all of your debt into one monthly payment and one overall loan. Essentially, a debt consolidation loan gives you enough money to pay off multiple debts. The amount you owe is then combined into a single loan with one monthly payment. Typically, a debt consolidation loan is used to pay off debts such as credit cards, payday loans, and medical bills. And there’s one big perk to debt consolidation loans that makes them different: these loans often come with a reduced interest rate and a lower monthly payment. Choosing a debt consolidation loan simplifies your debts. Instead of paying individual loans or lenders every month, you’ll pay only one loan payment. And if you’re paying a lower interest rate and a lower monthly amount, you may be able to pay off the loan quicker. Of course, debt consolidation loans come with pros and cons. Make sure to consider the following benefits and disadvantages of these loans before deciding if this is the right solution for you. What’s Better: Debt Consolidation Loan or a Balance Transfer Card? You might know about another popular debt consolidation option: a balance transfer credit card. These cards are often offered to individuals with credit card debt or other outstanding debts as a way to roll your credit card balance onto a new credit card with lower interest. While these cards sound great in theory, they differ from debt consolidation loans, and they can be a smart — or an ill-advised — alternative. A debt consolidation loan is almost like transferring your credit card balance to a balance transfer card, but it isn’t the same. Firstly, a debt consolidation loan can be used to pay off any outstanding balances and debts. A balance transfer will only take care of credit card balances. It cannot be used for other debts, such as a car loan or student loans. And a balance transfer card comes with some serious drawbacks. Sometimes there’s a transfer fee, which reduces the potential benefits because you have to pay money on top of the debt you’re transferring. Many cards attract customers by offering a no-interest or low-interest introductory rate for a fixed amount of time following a balance transfer. However, the interest rate can jump dramatically once that promotional period expires, leaving you paying incredibly high interest on your debt if you failed to pay it off fast. That can rack up the amount you’re paying on your debt dramatically. 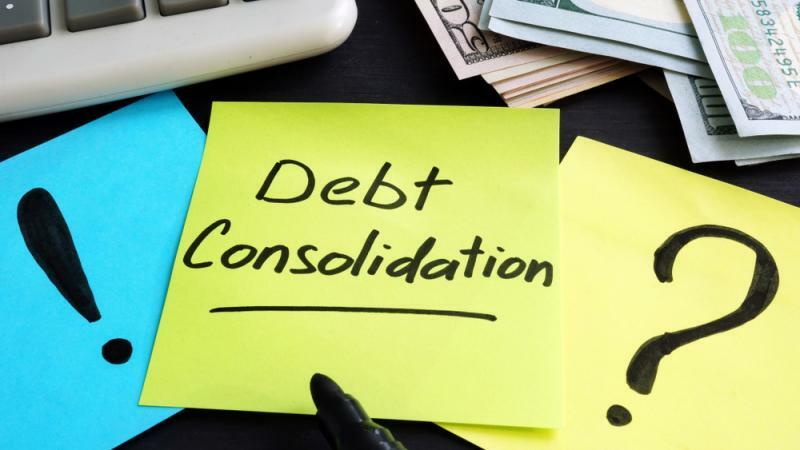 Often, a debt consolidation loan is the smarter solution for those who have different kinds of debt and cannot plan to pay off their entire debt within just a few months. Additionally, a debt consolidation loan with a substantially lower interest rate would allow more of your monthly payments to be applied to the principal, which would make it easier for you to pay off the loan more quickly. You’ll be able to take your time, lower your payments, and still improve your financial situation with a loan. So, now that you know what debt consolidation loans entail, you’re ready to decide if a loan is the right choice for your financial situation. But there’s one more decision you must make: which debt consolidation loan and lender is the best? First, you’ll want to see what kinds of loans you qualify for. You can search online, looking for debt consolidation loans offered for your debt amount, your specific types of debt, and your credit score. You can then compare the different loan terms and options in order to make a smart choice. Because your interest rate affects how much you’ll pay in total, you should also make sure to compare and consider the interest rate of every debt consolidation loan. Take into consideration the interest rates, the terms of the loan, repayment options, fees and any penalties that might apply. You can even ask your lender to show you the total amount of interest that you’ll pay over the life of the loan. Remember, to be sure you’re getting the best deal, you may want to apply to multiple lenders. 1 Experian, Is a Debt Consolidation Loan Right for You?